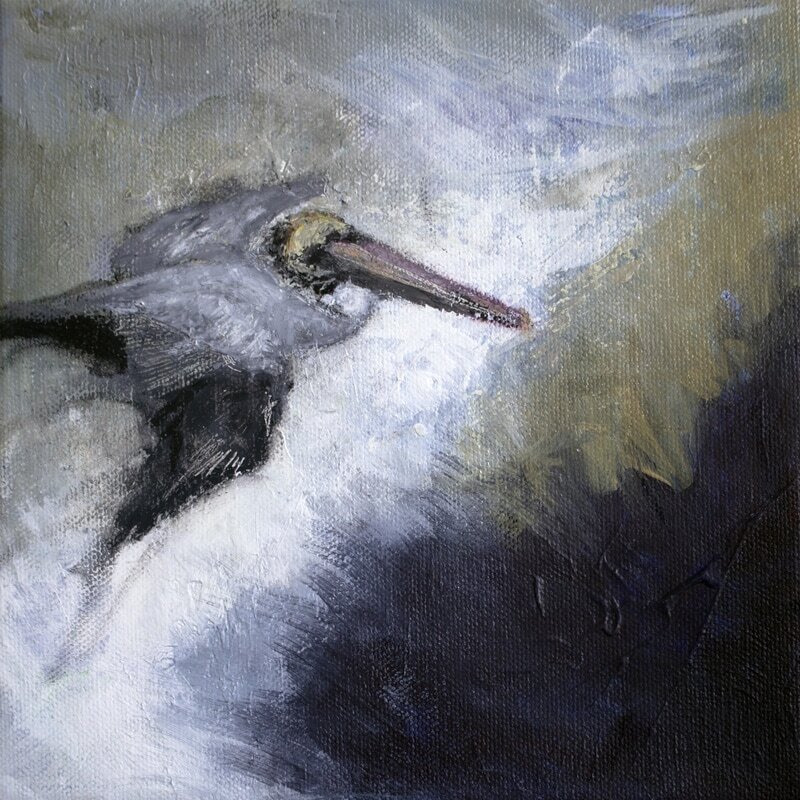 New collection of paintings inspired by birds flying, and birds with colorful feathers. Colorful, vibrant, abstract, and a little fauvist dipped. 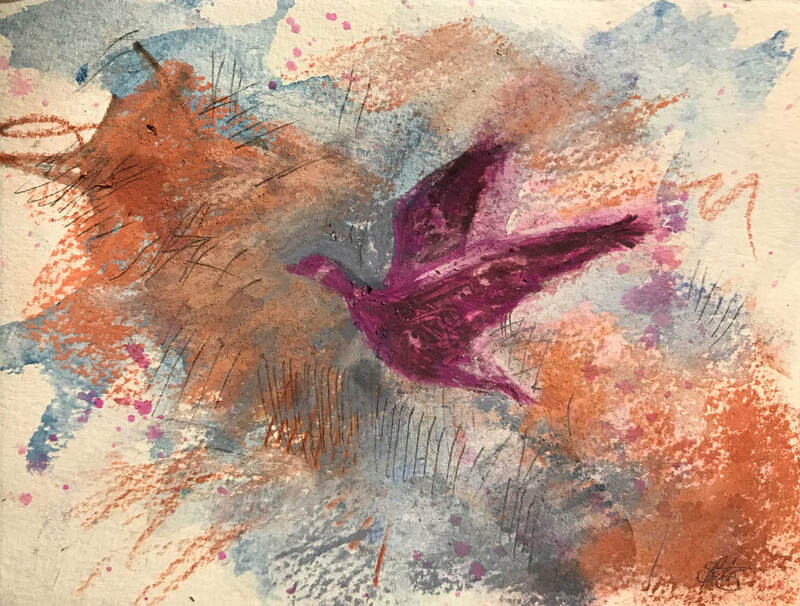 These birds - may they be common like the Great tailed grackle, or sweet and flickering like a hummingbird - I witnessed them all in their natural environments, engaged in their own story. With each, defying gravity and doing what their wings were made for - flying. The vibrant, bright colors intend to bring out the joy of the experience. Red Wing Black Birds. Mixed media on canvas. 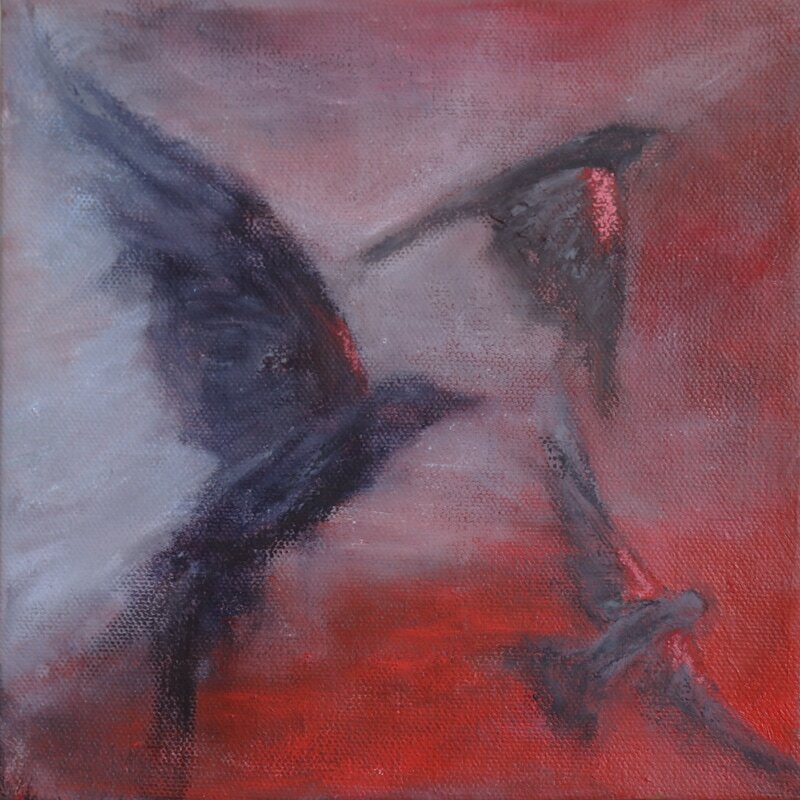 8x8"
Hummingbird Magic. Acrylic on canvas. 9x12"
Lift off. Acrylic on canvas. 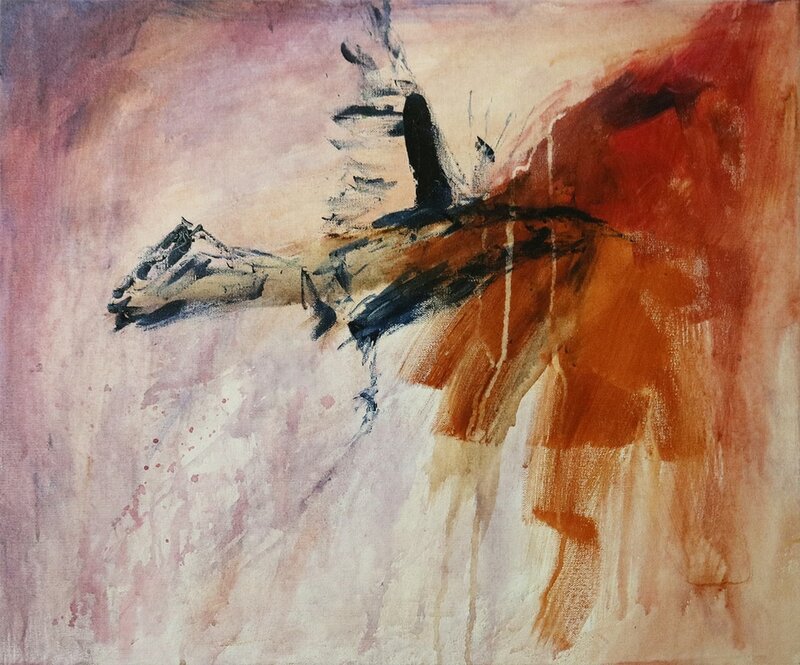 20x24"
Flying through (Aleutian Crackling Goose), mixed media, 5.5x7.5"